Which Colour Palette Should You Choose For Your Home? What Is Your Dream Kitchen? What Is Your New Scandi Style? 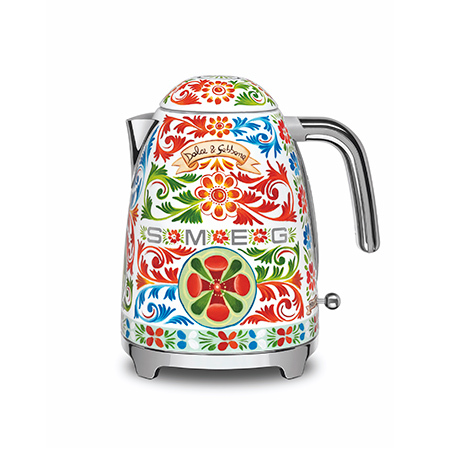 This stunning kettle from Smeg’s collaboration with Dolce & Gabbana will add colour and personality to your kitchen. Featuring an exuberant exterior decorated with distinctive Sicilian motifs called crocchi, this cheerful kitchen appliance is a cut above the typical electric kettle. Get your favourite issues anywhere on the go. Discover the hottest ideas for home makeovers in SquareRooms’ monthly digital issues. What do you want your dream home to look like? Tell us your thoughts for a free design plan from one of our interior design associates. © 2019 Key Editions Pte Ltd. All Rights Reserved.